Since establishment Letect Solar has devoted to keep a focus on the green environmental protection and green energy concep. 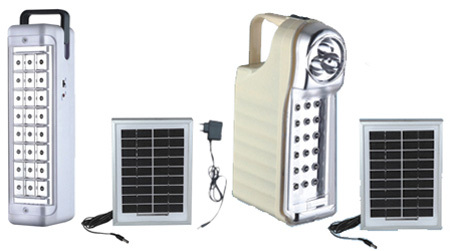 In near future the energy will become much short so that’s why our products: solar power lamp, such as lawn lamp, camping lamp, water lamp, stone lamp, emergency lamp and yard lamp etc, have been favored all around the world, in Europe, America, Middle East and India. Our Solar lanterns could be useful in several ways as part of a landscaping design. Here is a short overview to understand how they can help in use. They convert sunlight into electricity during a day by solar cells or solar panel (depends on power needs) and store that electricity in a NiMH (nickel-metal hydride) rechargeable battery. After in dark a LED lamp emits the light. working time: High 5 h, Medium 8 h, Low 16 h, Bed light 80 h.
Solar lantern collects less electric energy on a cloudy day then usual. Solar panel or solar cells are suitable to adsorb UV rays and even in cloudy weather the energy can be collected. However, the best characteristics are when there is direct sunlight. The only time the solar charging system is no active is when there is a night or in dark room. A LED produces less light than any light bulb so it contains more than one diode. While the NiMH battery is replaceable the LED is not, but their lifetime period is over 25 years. The LED gives a different kind of light than its incandescent or fluorescent equivalents, and it is more intense with different dispersion angle. weights are: Lamp19/17kg PV modul 8/6kg. 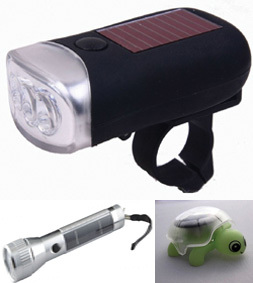 The Solar flash-light gives bright results, and in size it’s not too big or too small. It generates renewable energy from sun or room light and stores it for later use. The better choice for a path/walkway may require a brighter lantern, so our products have three LED’s per fixture, making them cost-efficient and easy to install. These flashlights are quite acceptable in their prices. Street lights based on a new LED technology are well-designed to illuminate large areas with the highest intensity of it, even more they could be powered with green energy (solar energy). 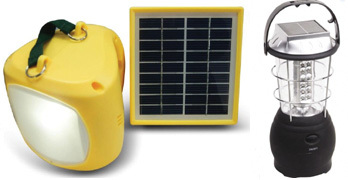 We offer a wide variety of solar lighting configurations and styles to meet every costumer specific needs. For various environmental conditions the installation will be adjusted to requirements. Solar Street Lights are well-designed to optimally deliver illuminance to large areas below by the highest efficient diodes. These are used for commercial quality lighting systems, residential streets, parking lots and security lighting using high quality of solar systems. Our LEDs are used in many large corporations. We will be glad to help you in finding more fortune and more happiness!